Mary Lue’s Yarn & Ewe is a warm and friendly yarn shop with a wide variety of luxurious yet affordable yarns and a comfy place to lounge and stitch with lots of samples to inspire the fiber artist in you. 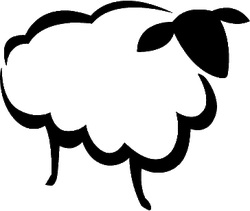 Enjoy our selection of gifts and accessories for fiber artists and a large selection of sheep-related collectibles. We offer knitting, crochet and felting classes in the fall & winter. Come join us on Thursday nights for "Stitch Night" or anytime. You'll find our lounge area or class table are always available. We’re available for advice or help anytime. Our years of experience allow us to offer special help when it comes to learning a new craft or needing that extra little bit of information before you make your yarn selection. So, e-mail us anytime or call us if you need help right away! atmosphere and our customers are like family. in Mankato’s “Old Town” district.